EC InfoSec exists only by the efforts of it’s members that pour in the time and energy in helping each other and the local community with the complex topics of Cyber Security. We run a lean shop with not a lot of expenses, but we do indeed have them. Your personal donations (and company sponsorships) to Eau Claire InfoSec are greatly valued! Your financial assistance is incredibility helpful in spreading the awareness of our group to the local communities in and around Eau Claire that can benefit from the knowledge sharing that happens in our group! 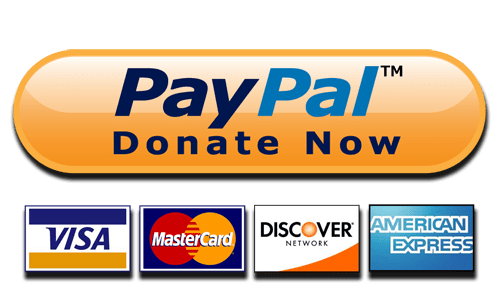 Please consider donating to Eau Claire InfoSec using the below PayPal method (you may also use a credit/debit card if you don’t have a PayPal account.) You may also donate directly to us in cash/check at the next event. Question: If I donate, how are my funds used? You can help grow EC InfoSec by spreading the word about our Information Security group through online advertisements targeting local people (using platforms like Facebook/Twitter/LinkedIn ads.) Funds will assist in mailing out/handing out informational material to the local businesses in the Eau Claire area about our group. The more people we can get coming to our group – the more awareness and assistance we can provide local companies and people around issues of cyber security. You can help cover the cost of the venue where we meet at and host our meetings. Right now we are using Lazy Monk. They won’t charge us for the venue as long as people purchase $80 worth of their products – otherwise we have to pay for the difference. We often max out the room of Lazy Monk – and we want to move to a bigger venue, however other venues charge a flat fee. You can help cover the cost of our Meetup.com fee’s for using their service to organize and announce our events. You can help cover the cost of audio and visual recording equipment and software so we can record our presentations and post them online to benefit more people. You can help us provide educational and helpful security themed prize giveaways to attendees. We would love to give away proven cyber security resources such as books and learning material to attendees. Question: I can’t donate much…. should I donate at all? Answer: Every little bit helps! Even a dollar! Instead of one large donation, consider doing an automated monthly donation of a small amount using the PayPal button above. Question: Please explain your corporate/company sponsorships? Answer: We greatly welcome companies in considering donating to us. You can show that your company cares about cyber security, and our local community by making a company sponsorship. In return for donations from companies, we will have your company logo and name on the PowerPoint presentations after each of our monthly events, and you are shown as a sponsor on our website and Meetup.com page. We will also make mention of your generosity at our events. If you wish to donate to EC InfoSec through a corporate sponsorship, drop us an email using our Contact Us form located here. Question: If my company donates money, can I give a sales pitch to your attendees about my product/service/company? Answer: We have a strict “no sales pitch” rule for our speakers and sponsors. We want to make our meetings educational and helpful, and not a platform for sponsors to sell their products and services to our attendees. Not to say sponsors can’t talk or present at our events – but their talks shouldn’t be about selling their product/service, it must be about knowledge sharing. Any other questions give us a shout out on our Contact Us page.